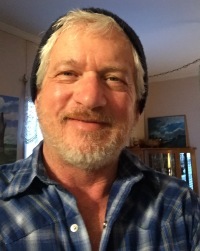 About Me: A lifelong painter, I enjoy connecting with art from my imagination in a way that is common to all in today's world, which includes: spirit, hope and universal truths. Received a beautiful card for my April 20th birthday from my dear friend - the quality is exceptional and the sentiment all ready inside was perfectly suited.............. I will treasure this card not only as a wonderful birthday greeting but as a gift for a lifetime-- for every birthday I may have left on this earth. This is my new card store -- I love every single one of them. Randy, Your work is lovely! I really admire your way with words! Gail, thank you very much for your comment on my work. I am excited about creating and selling my cards here. So far the success has been more than I imagined and looking forward to much more. Welcome to GCU, Randy! Your cards are not only beautiful, but very inspirational. I wish you much success!